Here is available information on all types of events that BritCham organizes. To find out about the sponsorship opportunities for the events please click here. On Friday 4 November (yes, the day when the snow fell and traffic was hell in Riga :) ) RISEBA University in collaboration with BritCham held the Guy Fawkes Night 2016. On 18 October we gathered at the British Ambassador's Residence for this season's first New Members' Evening. On 12 October we had the opening session of a new BritCham project - the BritCham Academy. This week at the BritCham's first Monthly Dinner of the new season we had one, if not the most active discussion we have had at our dinners. 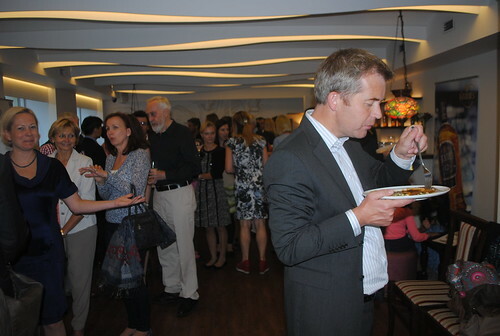 On 13 September BritCham opened it's new Season with a gastronomic bang! 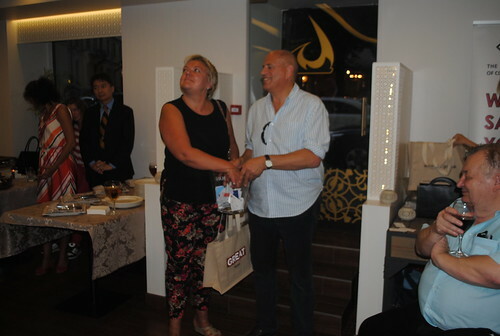 BritCham's Informal Summer Gatherings is a great ways to spend time with BritCham members and friends during summer. This year BritCham celebrated the end of the Season 2015/2016 with the Royal Ascot Party 2016 at garden of the British Embassy in Riga on 7 June.